Version 0.6.7 of the User Agent Switcher extension has been released. This release adds Netscape support and some code optimization as well as being compatible with Firefox 1.5 Beta. Note: The Netscape support was not working and I am not really sure why, so I have removed it for now and will look to add the support back in for a future release. Update: The localized version was not working correctly and has been updated with a new version. This is really just a placeholder post for now as I am starting to receive emails and forum posts asking about Firefox 1.5 Beta compatibility for the User Agent Switcher and Web Developer extensions. Update: The User Agent Switcher and Web Developer extensions are both now compatible with Firefox 1.5 Beta. My usual stand is that I do not support nightly, alpha or beta builds for either extension—as noted in the User Agent Switcher and Web Developer FAQs. This is because too many little bugs appear in these builds that can affect the behavior of an extension and I just do not have the time to debug an issue to work out if it is a problem with that build or my extension. However, with Firefox 1.5 Beta offering significant improvements over Firefox 1.0 I suspect that many people will be trying it out—myself included. Therefore I am planning on making both the User Agent Switcher and Web Developer extensions compatible with Firefox 1.5 Beta, with the caveat that I will not be providing any support for issues that are only related to Firefox 1.5 Beta and do not occur in Firefox 1.0. Making the User Agent Switcher extension compatible should be straightforward enough and I hope to release version 0.6.7 this weekend. This will not include any new functionality, but will merely add Firefox 1.5 Beta and Netscape support along with some minor code optimization. 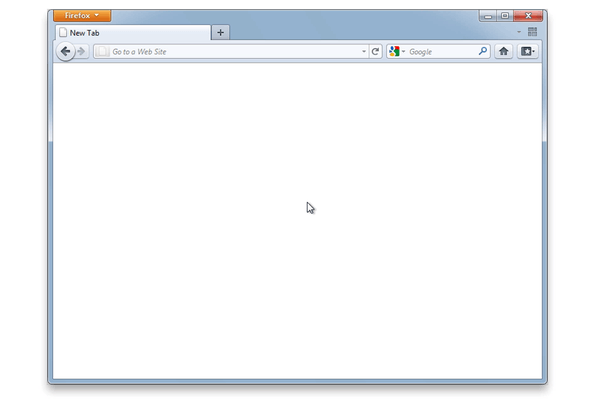 Unfortunately, the Web Developer extension is a little more tricky. I have spent the last few months working on the next release of the extension and version 0.9.3 is effectively frozen. If version 0.9.3 can be made compatible with Firefox 1.5 Beta by just updating the supported version then I will do that this weekend. Otherwise people will have to wait for the beta of the next release for a version of the Web Developer extension that is compatible with Firefox 1.5 Beta, which should not be too far away if everything goes according to plan. So please stay tuned—I will be updating this post with the latest information as I work on making the User Agent Switcher and Web Developer extensions compatible with Firefox 1.5 Beta. Version 0.6.6 of the User Agent Switcher extension has been released. This is a patch release that fixes a bug where user agents containing backslashes did not work. Mozilla Update finally relaunched this weekend and the Developers Control Panel was turned on as part of this release. This allows me to administrate my extensions and make sure that the information is current, so I have uploaded the latest versions of both the User Agent Switcher and Web Developer extensions. These updates still go into a moderation queue before appearing on the site, but hopefully that will only take a few days. If you want the latest news about my extensions this site is still the best place to check out, but it will be nice to have the official extensions site up-to-date as well. Version 0.6.5 of the User Agent Switcher extension has been released. This release adds import and export support for the list of user agents and fixes a bug where user agents containing apostrophes did not work. Version 0.6.4 of the User Agent Switcher extension has been released. This is a minor release that adds a help menu and fixes a couple of small bugs. I started noticing recently a few web sites in my referrer logs that mentioned Surf Junky. I had no idea what Surf Junky was so I opened the sites to see what they were talking about and why they were linking to chrispederick.com. It turns out that Surf Junky is a service that pays you to surf the web. It works by popping up advertisements every 30 seconds and you can earn up to 75 cents an hour. Now 75 cents an hour does not seem like much, but if you use the service 24 hours a day, seven days a week it can total over $500 a month. This, however, would require closing the popup ads every 30 seconds and so people have been looking for ways to scam the system and this is where my site comes in. Apparently, the Surf Junky popup ads can be blocked using Firefox and because of this Surf Junky now block this browser. However, with my User Agent Switcher extension you can fool them into thinking that you are browsing with Internet Explorer. Combine this with an extension that reloads the page on a regular basis and you have a pretty efficient way of abusing the Surf Junky system. Let me make it clear that I am not condoning or recommending the use of this technique in any way, but it does raise a couple of interesting points. Firstly, there has already been an article about the possibility of the Web Developer extension getting me into trouble by “inducing” people to reverse-engineer a website’s functionality. If anything the Surf Junky situation appears more serious, as in this case it is directly taking revenue from the company. Is it beyond the realm of possibility that Surf Junky may look not only to take action against the individuals that are trying to abuse their system, but also against the software that is helping those individuals? And what about the role that extensions are going to play as Firefox becomes more and more popular. There are already extensions that change specific web sites—such as BetterSearch that “enhances search engines”—as well as extensions that allow the changing of any web site—such as GreaseMonkey that allows “you to add user scripts to any web page to change it’s behavior”. We have already seen strong opinions—both for and against—about the AutoLink feature in Google’s new toolbar. How will companies feel as they hear more and more about extensions that allow everything from the design to the behavior of their web sites to be changed? Judging by the numbers in my referrer logs it does not take much for people to look for ways to exploit the revenue model of a web site. Of course, this is nothing new as there have always been programs designed to exploit systems, but the ease with which Firefox extensions can be created and the growing popularity of the browser could make unethical extensions easier to both create and distribute. Extensions that are designed purely for “evil” purposes should be simple enough to target and the authors prosecuted, but what about those—such as User Agent Switcher—that are designed for legitimate uses and are then used (possibly in conjunction with other genuine extensions) to exploit a web site? Will we begin to see companies apply legal pressure to the authors of such honest extensions? Update: CNET News.com discusses this topic focusing on the GreaseMonkey extension and the possibility of malicious scripts. 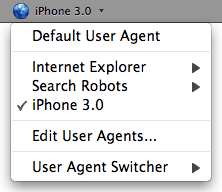 Version 0.6.3 of the User Agent Switcher extension has been released. The full history is available, but the two main changes in this release are the hiding of the option to automatically reset the user agent when the browser closes and the addition of support for update notifications. The reset option has been hidden because too many people were disabling it without reading the FAQ and understanding why it was enabled by default. If you understand the problem and still want to disable the auto reset functionality then just manually set the preference ‘useragentswitcher.reset.onclose’ to ‘false’. Mozilla Update development is apparently continuing, but in the meantime they are not accepting extension submissions via Bugzilla and I cannot do the updates myself until the developer section is activated. This is frustrating, to say the least, therefore I have changed the User Agent Switcher extension so that it no longer uses Mozilla Update to check for updates. Going forward Firefox should indicate immediately when a new version has been released. 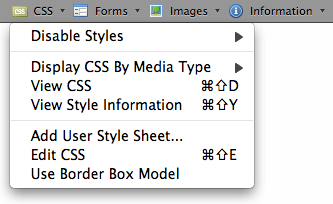 I will be making the same change in the next release of the Web Developer extension. I have released new versions of both the User Agent Switcher and Web Developer extensions. User Agent Switcher 0.6.2 fixes a bug where the menu was not checked when the vendor or vendor sub settings were overwritten with the default values. Web Developer 0.9.2 contains a number of bug fixes including those from the unannounced 0.9.1 release—the history lists all the changes. This release fixes all the major issues discovered in the 0.9 release and will now be put on Mozilla Update. A new version of the User Agent Switcher extension has been released. In this release the toolbar icon now changes when a non-default user agent is selected and both vendor and vendor sub can now be overridden. I have also improved the auto-reset functionality as there were some cases when it previously would not reset properly. With this release I am also releasing a localized version that contains multiple languages. If you have new or updated translations simply contact me and I will add them to the localized version.